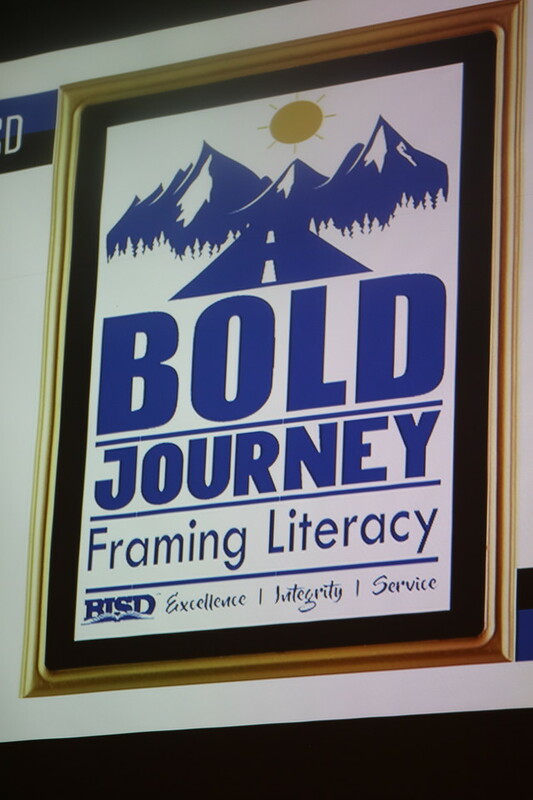 Bold Journey: Framing Literacy | Birdville ISD Blog! Birdville ISD held an Administrative Leadership Conference that included every campus administrator, teacher leadership teams, and central office June 6–7. The purpose of the conference was to prepare campuses for next school year by providing additional professional learning in our literacy initiative, continuous improvement, various strategies for improving vocabulary development, comprehension, and pertinent information about the teacher evaluation process. In addition, Dr. Sue Szachowicz, a nationally recognized principal of Brockton High School in Brockington, Massachusetts, was a keynote speaker and presenter. She is recognized for her work in transforming Brockton High School into a nationally recognized high-performing high school. She worked with our campus principals and teacher teams on how to use literacy to improve student performance. There were approximately 450 administrators, teachers, and central office staff in attendance. This conference was a great event for providing time to our campuses to learn, plan, and network so that in the rush of getting school started, plans are done in advance.